European bank shares have risen following the weekend agreement on the minimum amounts of cash and easy-to-sell assets that banks have to hold. A previous draft two years ago said they would have to meet new requirements by 2015, but that has now been extended to 2019. The reserves are supposed to make banks less vulnerable to lots of customers trying to withdraw their money. It is the first time there have been liquidity rules covering global banks. The agreement was made by the group of banking regulators that oversees the Basel Committee on Banking Supervision. Analysts say the rules just announced are more flexible than a draft version, and shares in banks rose on Monday morning. Barclays shares rose 3.8%, while Lloyds Banking Group was up 1.3%. In Frankfurt, Deutsche Bank was up 2.8% while Commerzbank rose 4.2%. Under the new rules, banks will have to hold enough cash and easy-to-sell assets to tide them over during a 30-day crisis. In the lead up to the financial crisis, banks ran down these reserves to dangerously low levels. Regulators hope that extra liquidity would allow banks to survive a run on them, as happened with Northern Rock in 2007. "If you want your money back immediately and there is a queue round the block, hopefully the bank would be able to meet those demands," explained Brian Caplen, editor of The Banker. "That should restore confidence in the bank and then it can restructure itself in order to get out of trouble, but it doesn't make banking entirely safe. "If a bank had made lots of bad loans to the wrong kind people and was unable to collect that money, a bank will still get into trouble." 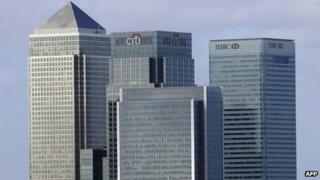 But Mr Caplen pointed out that liquidity was not a problem for major UK banks at the moment. "We are making rules for the next generation. A crisis of the enormity of the 2007 banking crisis... only comes along once in a lifetime, I think," he told BBC News. By 2019, banks will be required to hold cash and assets - which can quickly be sold - equivalent to the amount they think could leave the bank in during a 30-day high stress period, net of the amount coming in. In 2015, banks will have to hold assets worth 60% of these anticipated net cash outflows. One big change in the rules has been which assets count as easy to sell. Some company shares, corporate bonds and residential mortgages have been added to the list, which previously only included assets such as government bonds. "The inclusion of mortgage-backed securities will be seen by some as odd, since these proved to be wholly illiquid and unsellable in the summer of 2007," said BBC business editor Robert Peston. Banks had warned that over-stringent standards could reduce lending and stifle economic growth, because they would be forced to hang onto funds rather than lend them out. Bank of England governor Sir Mervyn King, who also chairs the group of regulators from 27 countries that agreed the deal, said that the phased introduction would mean the new standards would not "hinder the ability of the global banking system to finance a recovery". Analysts welcomed the greater-than-expected relaxation of the rules. "The more pragmatic approach from regulators is warranted," said Michael Symonds, credit analyst for financials at Daiwa Capital Markets Europe. "The easing recognises that the torrent of new regulation originating from the first phase of the financial crisis has somewhat weighed on economic recovery, in particular in Europe," he said. The Basel Committee is also trying to set minimum capital requirements, which would make banks more able to absorb losses. This goes more to the heart of banks' finances than the ready cash requirements of the liquidity rules. Banks had to be bailed out by taxpayers during the financial crisis because they didn't have the reserves to cover loans and mortgages that weren't repaid, meaning that they were, or were close to, being insolvent. The deadline for banks to meet both liquidity and capital rules is now 2019.